How do I list all versions on a project or object? 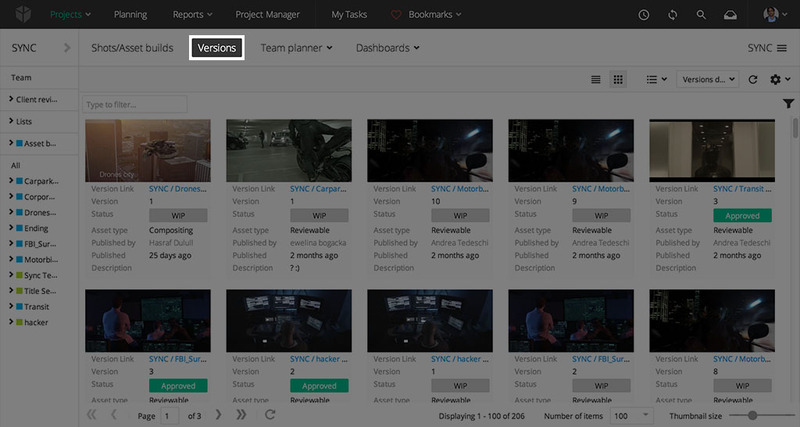 To list all versions on a project or object, navigate to the Versions page. Select spreadsheet or thumb layout to view the versions the way you like. 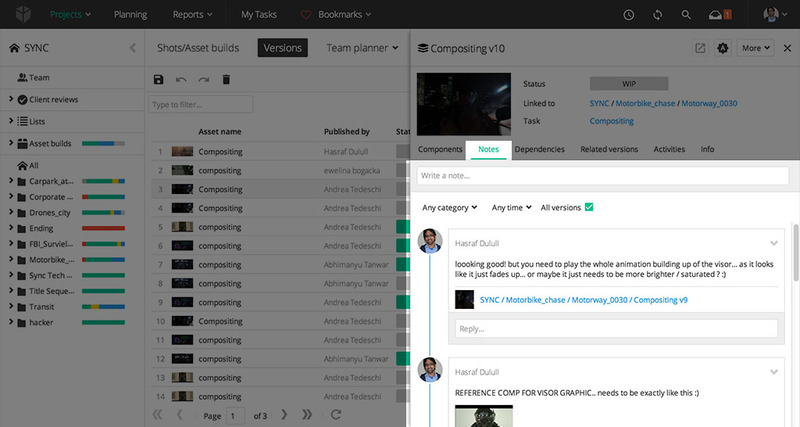 Choose between different columns, drag them around and resize them to customise your view. When you’re finished you can save it as a view for later reuse. How do I publish a version? by using ftrackreview. See Uploading media for review. How do I submit or view notes on my versions? Notes can be accessed on the notes tab in the version sidebar. Notes on versions are treated the same way as notes in general. How do I change the status of a version? Version statuses can be changed by users with permission in the version sidebar. If you can’t set your desired status, make sure it’s added to the workflow schema. Where are my versions saved? When publishing versions only the location of the file is stored in the version. Exactly where the file is saved is decided when the version is published with the Python API. What types of versions can I track? 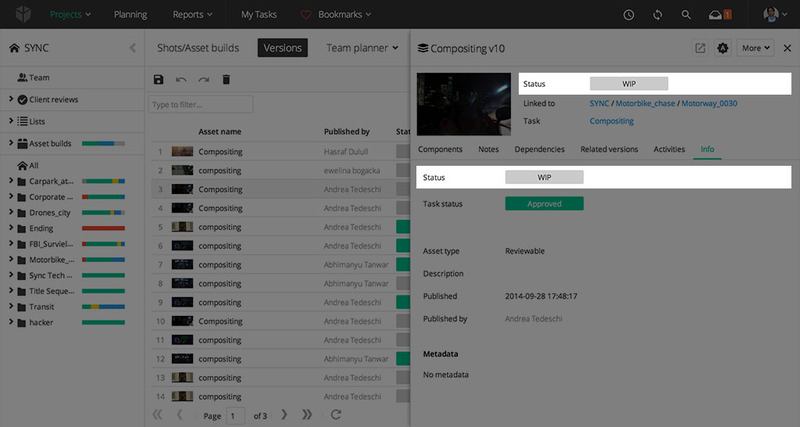 Asset types can be configured in System settings and of any type you like. It’s only a “descriptor” to separate different types of assets and doesn’t impose limitations on file types or how to use the version. What components does my version have? Version components are listed on the components tab in the version sidebar and can be downloaded (if you have access to the storage system) or opened in an external application. Opening of external applications are configured through protocols in System settings. A version may contain many different files, often used to represent different “components” of the file. E.g. an image asset might contain both the high resolution image (as a component) as well as a small size thumbnail (also as a component). You can see a component as a bin, containing a reference to a file. Where can I see meta data? Meta data can be set from the Python API and viewed in the meta data section on the Components tab in the version sidebar.